KAA was started by Kamran Afshar, Ph.D. in 1988. 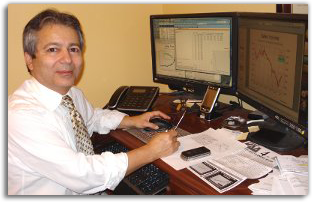 Dr. Afshar has a Ph.D. in Economics, and has taught at graduate and under graduate levels between 1978-88. He has vast experience in economic impact studies, feasibility studies, customer satisfaction surveys, and scientific competitive analysis. Over the course of more than two decades of operation, Dr. Afshar has become a leader in economic analysis and a primary source for the print and electronic news media in the Lehigh Valley. The company has expanded its client base from local enterprises to include national and international companies. Dr. Afshar has served on a number of not-for-profit boards and is member of The American Economic Association, National Association for Business Economics, and the AOPA. Mimi Afshar has a B.A. in Sociology and a Masters degree in Educational Social Science. She has been teaching at undergraduate level for more than a decade. She has also been a research assistant at KAA since 1988. Her responsibilities covers different stages of research from questionnaire design to data interpretation and analysis. 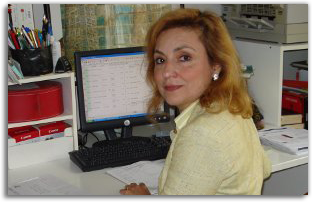 Ms. Afshar’s philanthropic work includes serving within not-for-profit boards and leadership organizations.